Highcrosses are abundant in Ireland. Every cross tells a story just as a picture book does, and in former times the crosses were painted in rich colors according to modern science. Today any rest of color has disappeared and pure stone is revealed, still most of them is in pretty good shape. 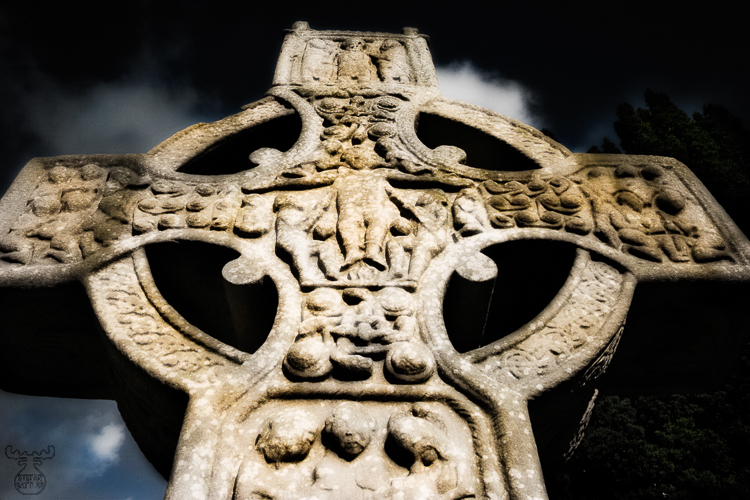 With some "Ireland in Art" changes this one, called Muiredach's Cross and standing in Monasterboice, appealed even better ..